It is not an exaggeration anymore that social media has already changed the manner in which we are living our lives. This is true especially if you are an artist or you have a small business. If you have an ideal online strategy, it is obvious that you will be able to gain the attention of numerous people, who are both your fans as well as your potential customers. Instagram is a powerful tool, where you can market both yourself as well as your work. Whether you are looking forward to enhancing the presence that you have on Instagram or you are interested in starting from a scratch, you have to understand that it is not too late to do so. It is true that at the beginning it can look daunting, but in reality, you just have to know the proper tips for being successful. Given below is the list of the tips that you can follow diligently for starting your creative career on Instagram. An important thing that you have to understand and remember is each and every person starts with zero followers. Even the legendary actress Kim Kardashian had an Instagram account and no one followed her. It is true that it can be discouraging to upload posts especially if no one is viewing them, but pushing people to follow you is completely in your hands. Your posts have to be engaging enough to attract the attention of the people who are already on Instagram. As soon as you start gaining followers in a steady manner, you will observe that the rate of gaining the followers is going to increase exponentially. Hashtags are crucial when people are constantly looking forward to finding your business and the products or services that are associated with your business. Hashtags are not only valuable but they are also immensely powerful search tools. This is why it is suggested that you make use of at least seven different and unique hashtags within your posts. Certain hashtags are going to push the contents down your timeline because they are not that popular. This is why you should add hashtags, which have fewer posts, for ensuring that the content has the appropriate chance of getting viewed. According to www.skedsocial.com, hashtags are capable of gaining almost 12.6 percent more engagements in comparison to the posts that do not have hashtags. Instagram is an important visual platform and it allows people to interact with each other online. You have to engage with all your audience so that you can gain other followers who are also interested in what you are offering for them. You have the option of doing it in two manners. One is by liking the posts of the followers and the other is by liking comments, which will make your followers believe that you are also interested in all the contents that the followers are posting. However, ensure that you are not posting any disingenuous or spammy comments. Personal accounts are not capable of receiving as much engagement as the business accounts on Instagram. It is true that each and every business account sounds extremely serious but it is necessary if you are interested in striking a conversation. 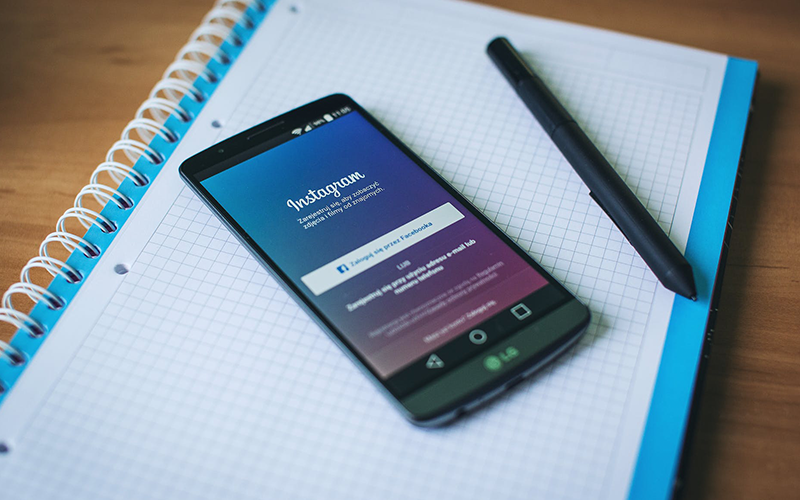 A huge advantage of a business profile is that you will be able to add links once you have more than 10000 followers, to the Instagram Stories. It is considered to be ideal when you are launching products or you are advertising any exhibition. Business accounts also provide access to analytics, which will be responsible for displaying the best times for the posts. You can also study your statistics and understand when the followers are engaged and active with your posts. If you are going to plan ahead, the first and most important thing that is required is a wonderful strategy. You need to schedule the posts before time on your Instagram account so that they get posted automatically. This can be done on basis of the time that you have discovered and found out when your audience is the most active. This will definitely help in getting more engagement on your post. Seeing a similar kind of image can be extremely monotonous for the audience. You need to add variety to the Instagram feed and keep changing the kinds of posts constantly. If you are constantly posting the pictures of your paintings, it is also a good idea to show the work that is in progress. You can also give behind the scene peeks of your studio. Variety can help in keeping your audience engaged for a really long time. Also, they will keep coming back to your profile constantly. You can gain real followers by visiting the reputed website of Gramblast. It does not matter if you are posting three to four times on a regular basis or you are doing it once in a week, you have to maintain the consistency. However, if there are times when you feel that you have nothing worthwhile for sharing with the audience, it is completely okay. Your audience is ultimately going to want quality instead of quantity. Instagram is responsible for offering numerous ways in which you can use the platform but you have to understand that all the ways may not be applicable to you. When you are posting something, you have to take note of the way it has performed in front of the customers or your followers. If you see that it is receiving engagement and people are commenting constantly on it, it means that your strategy worked. However, if the reverse happens, you have to rethink your strategy. If you observe that a particular kind of post is receiving a huge amount of engagement, you need to share more pictures immediately that are like it. Starting your career on Instagram is not an easy task especially with the huge amount of competition all around. However, if you are creative and you are interested in launching your career with Instagram, ensure that you are taking care of all the steps that have been mentioned above.